Each year on 10th of December, the world celebrates the Human Rights day. In the Republic of Moldova, this day is also celebrated through diverse events, the biggest of them all being the UN Human Rights Gala. The latter supposes an awarding ceremony in which different personalities are rewarded for their work in defending the human rights in Moldova and who can be considered role models in this domain. Broadcast live by the public TV Moldova 1, Radio Moldova and Radio Moldova Youth, the UN Human Rights Gala of Awards brought together high officials, representatives of international organizations and diplomatic corps, civil society organizations and mass media. Just as in previous years. 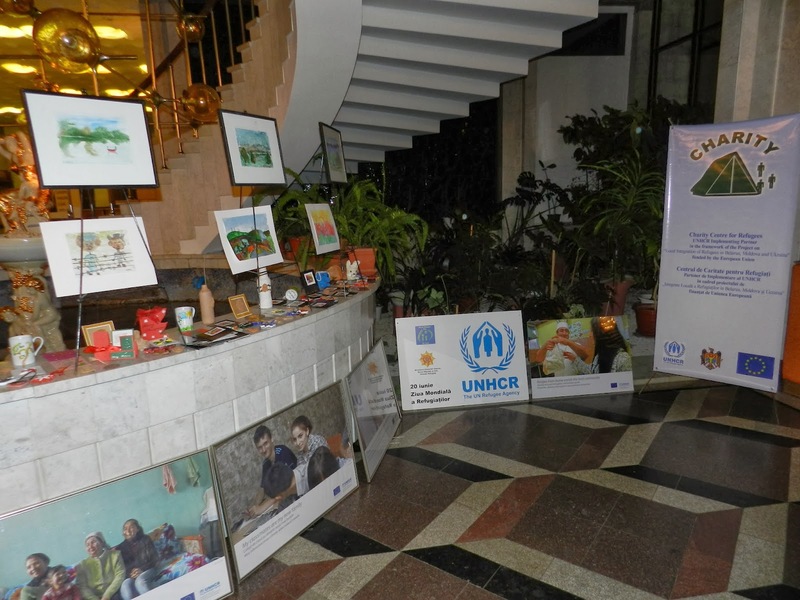 CCR, as the UNHCR Implementing partner, joined in the celebration of this event by setting an exhibition of various posters and artwork. This kind of exhibitions is very important for the Charity Centre for Refugees (CCR) and UNHCR, because they offer a great opportunity to raise the awareness of different categories of persons concerning the potential and benefits of getting the refugees and asylum seekers integrated into the Moldovan society. 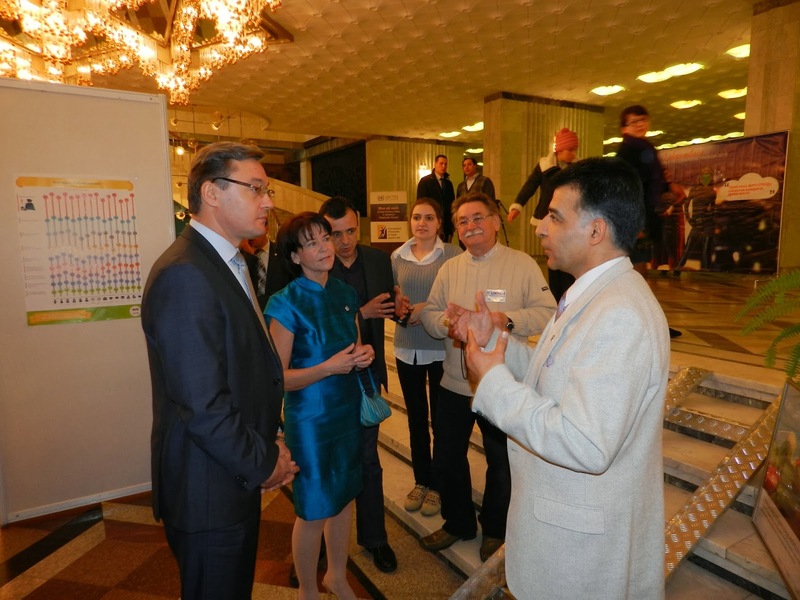 This time, the CCR director, Mr. Paknehad Ahmad Djavid, had the opportunity to speak and lobby the interests of our persons of concern with the UN Resident Coordinator in the Republic of Moldova, Ms. Nicola Harrington, the President of the Moldova Parliament, Mr. Igor Corman, the current Minister of Culture, Mrs. Monica Babuc, and many others. In fact, with the latter state body, CCR is actively collaborating in order to show the refugees and asylum seekers a bit of the history and culture of their host country. CCR will continue setting exhibitions within the UN Human Rights Gala event, since raising awareness and lobby are two very efficient ways to create a fair society where everyone, including refugees and asylum seekers, will be able to live in peace and understanding.